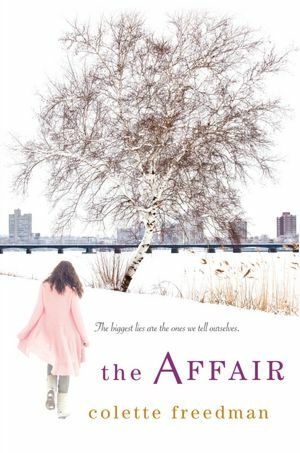 The Affair - Colette Freedman is a top Hollywood Script Doctor who has also ghost written several novels. After eighteen years of marriage, Kathy Walker has settled into a pattern of comfortable routines–ferrying her two teenagers between soccer practice and piano lessons, running a film production business with her husband, Robert, and taking care of the beautiful Boston home they share. Then one day, Kathy discovers a suspicious number on her husband’s phone. Six years before, Kathy accused Robert of infidelity–a charge he vehemently denied–and almost destroyed their marriage in the process. Now Kathy must decide whether to follow her suspicions at the risk of losing everything, or trust the man with whom she’s entwined her past, present, and future. As she grapples with that choice, she is confronted with surprising truths not just about her relationship, but about her friends, family, and her own motivations. Told from the perspective of a wife, her husband and his alleged mistress, this novel offers a glaringly intimate glimpse into a marriage. You’ll feel sympathy for all of the characters as each tells their side of the story. THE AFFAIR by Colette Freedman is an intimate look inside a marriage on the rocks. This author really does show that there are three sides to every marriage story—his, hers, and the truth. Although truth is subjective, upon the telling, it is Kathy Walker’s that resonated with me. However, I didn’t see Stephanie Burroughs as a home wrecker either and neither does Kathy. Robert’s truth is somewhat selfish in nature, but given his circumstances, you can see how he ended up in this situation. He’s the wounded bird that Stephanie is helping, and he’s a husband and father to a family who needs him to keep them in the standard of which they are living. Meanwhile, Kathy tries to get the marriage back on some standing and faces some hard truths of her own, but Robert’s too deep in his own situation to see it. However, the end is something you won’t see coming! Colette Freedman’s THE AFFAIR is a standalone novel, but you will look forward to her next title. The Affair gives a interesting view point on cheating. The story is told in three parts. Each part focus on a different person, the wife, the husband and the mistress. They each tell their own story, their own views. Freedman, manages to make each character likable, which is amazing considering the subject matter. Freedman makes it possible for you to live your emotions through the wife, empathize with the husband and the mistress. That’s right. I said empathize. You absolutely have to read this book to find out why. They story is gripping and emotional. Expect a few redundancy’s since the story is repeated three times. The story flows and is beautifully written. A riveting story about an affair, what caused it and the effects it has on the parties involved. This is not a story about love, nor is it a story about commitment. This story is about real life and how it can come between a husband and a wife. The author, Colette Freedman, does a wonderful job of presenting the story from the point of view of the people affected by the story – the wife, the husband and the mistress. This was an interesting story that sucked me in from the beginning, even though the characters are much older than those in my normal read. As its name states, it’s about an alleged affair. The story is uniquely told in three points of view giving the perspective of the wife,the husband and the alleged mistress. With each change in the point of view I found myself understanding and sympathizing with the character telling their side of the story. The author did a great job with the characters. They were all relatable and likable. Why do people cheat on their partners? Who is at fault? Can a marriage recover from such an intimate betrayal? These are just a few of the questions raised in Colette Freedman’s newest release, The Affair. It is a fascinating and riveting novel about the devastating repercussions of infidelity. Two-minute daily feature with interviews and insights from today’s most influential authors, musicians, artists, and creative minds. Masterful storyteller and renowned playwright Colette Freedman brings readers her latest, The Affair. The three-part novel delves into an extra-marital affair, as narrated by the husband, the wife, and the mistress. The Affair begs the questions: Should we follow our guts at the risk of losing everything? And is it possible to love two people at once?